HomeBlogI-9 ComplianceE-Verify: Is it right for your company? 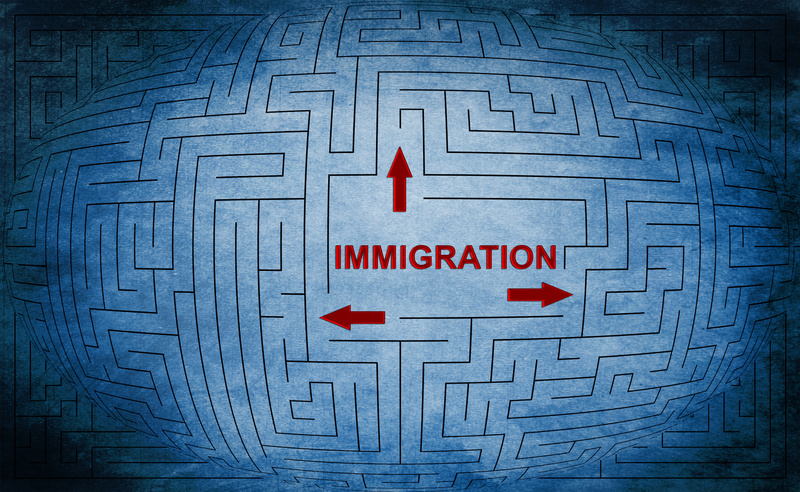 E-Verify: Is it right for your company? Although many of the recent headlines surrounding the immigration debate have focused on the legalization/path to citizenship (or lack thereof) for the undocumented population, both the Senate and House of Representatives have produced legislation which will greatly impact employers when it comes to hiring new workers. Both the Senate bill (S. 744) and the House bill (H.R. 1772) contain some form of mandatory E-Verify for employers. There has been strong bi-partisan support for this provision and it seems likely that required use of E-Verify will become law at some point in the future for all employers. Should employers take the plunge now and enroll in E-Verify voluntarily or should they wait until they are required to do so? To enroll in the E-Verify program, an employer enters into a Memorandum of Understanding (“MOU”) with the government. The program requires employers to enter certain information about every new hire into the online system, which the government uses to verify against its electronic database of Social Security and Homeland Security records. In the event a new hire’s information does not match the database, a notice of tentative non-confirmation is issued and the employer is instructed to follow certain steps with the employee to correct the mismatch. If the employee does not correct the mismatch within the allotted period, the employer is required to terminate the employee. For an overview of the E-Verify program, click here. Although certain employers may be required to participate in E-Verify due to federal contracts or because they do business in a state that requires it, many other employers make the decision to voluntarily enroll. Reasons to enroll voluntarily include the ability to ensure that new hires in the workforce are legally authorized to work and potential mitigation of liability based on good faith attempts at compliance in the event of an I-9 audit. E-Verify also has a photo-matching feature, which requires employers to compare any photo identification document presented with any photo in the E-Verify database and confirm whether the photos match. Although an employer cannot use E-Verify to prescreen applicants to ensure they are authorized to work, the employer must advertise its use of E-Verify to all potential employees. In this way, any applicant will know that the identity and work authorization documents to be presented to the employer as part of the I-9 process will be verified through E-Verify. This may discourage applicants who lack valid work authorization from seeking employment with an E-Verify employer. In the event of an audit by U.S. Immigration and Customs Enforcement (ICE), an employer’s use of E-Verify can indicate its good faith attempt to be in compliance with the law and may result in a reduction in any potential fines. Companies that properly use E-Verify get a “rebuttable presumption” that they are in compliance with Form I-9 and employment eligibility laws. However, E-Verify is not a complete defense and will not protect against serious defects in a company’s existing I-9s or for knowingly employing unauthorized workers. Additionally, companies that regularly employ foreign nationals that have graduated from U.S. universities in the fields of Science, Technology, Engineering, or Math (STEM) may want to enroll in E-Verify. If an employee who graduated in a STEM field is working for an E-Verify employer, that employee may extend his or her Optional Practical Training (OPT) work authorization for an additional 17 months beyond the initial 12 month period. This can be a real benefit where the H-1B numbers for a given year have been exhausted, and where the OPT extension may be the only way to continue employing the graduate. There are reasons an employer might choose not to enroll in E-Verify until legally required to do so. Employers who are unsure or who have concerns about the condition of their current Forms I-9 might consider holding off on entering into E-Verify until required to do so. An employer who believes its current Form I-9 compliance is lacking or defective should consider completing a thorough self-audit with outside counsel before entering into an E-Verify agreement with the government. A self-audit can allow the employer to identify and correct problems in the existing forms and to bring itself into compliance, potentially limiting liability in the event of a government audit. Additionally, conducting a self-audit with the advice of counsel protects some of the information discovered during the audit through the attorney-client privilege. A self-audit can also allow an employer to examine its policies and internal procedures surrounding the Form I-9 to ensure that the employer is following all aspects of the law. In addition to ensuring that employees are authorized to work, employers must also be careful not to violate federal laws prohibiting discrimination in the verification process. Employees have the right to present any acceptable documentation to complete Form I-9, and employers may not require an employee to present a specific document. Whether an employer should voluntarily enroll in E-Verify before being legally required to do so is a complex question which will depend on the employer’s particular situation and current level of compliance. If you are an employer considering E-Verify, the attorneys at MMHPC are ready to assess your situation and advise you.